From the delicate tea cups to tiered plates of finger foods, you’d never know you were in a hospital the afternoon of March 19. 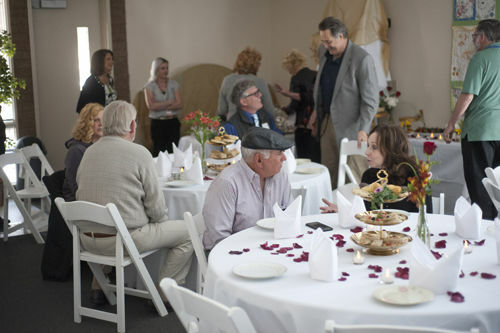 But a room full of donors sampled the variety of teas while they were honored for their contributions to the Bear Valley Community Healthcare District Foundation. Holly Elmer, president of the foundation, led the ceremony, and district CEO John Friel and board president Rob Robbins also provided comments.